The New Women's Balmoral Poly-lined Boots is rated 4.5 out of 5 by 39. Diseñada para terreros irregulares y difíciles, la bota de goma hecha a mano se ha actualizado con una suela Vibram® Newflex. La suela, ligera y flexible, cuenta con tacos para una alta tracción, mientras que el diseño, forrado en poliéster, está hecho con un nuevo compuesto de goma blanda, que le confiere una mayor durabilidad y comodidad. El diseño cuenta con un tirador de cinta, refuerzo protector de goma y espuela en el talón para facilitar la extracción. La bota se suministra con plantillas moldeadas de 3 mm y 5 mm para aliviar la fatiga de los pies y estimular la circulación. Rated 5 out of 5 by JWalter from Function & Fashion When I received these boots, my first thoughts were functional AND fashionable (sorry-without meaning to sound corny). I felt that some of the reviews indicated that the boots were too "heavy or clunky" but that was not my impression. I feel that their weight is perfectly fine- while wearing them, I have not even noticed the weights. Additionally, the look is more heavy-duty (in the soles) because I see them as an upgrade to basic Hunter boots. They have more grip on the treads, which is beneficial if you are walking where it is muddy or slippery. I felt that they paired well with Hunter boot socks- more so than my regular Hunter boots. The calf was perfect for me- however, if needed could be adjusted to accommodate thicker pants, or more muscular calfs. Over all the look is great. I am very pleased with this purchase. They are more expensive, but they serve their purpose well, and they last FOREVER. Rated 4 out of 5 by Ashley from Great product! I really love this boot. Super comfortable and very stylish. However, without the right socks, they are not warm. My feet are cold in them without the right socks. Rated 5 out of 5 by Tina from Very comfortable and warm. I bought those boots primarily for walking my two German Shepherds. They keep my feet warm and dry plus they are extremely comfortable to walk in for hours. Mud, puddles, snow or ice. Never get wet and soles have a very good grip. Will definitely buy another pair. Worth every penny. Rated 5 out of 5 by Will R. from Great field boots My wife and I each have a pair of these Hunter field boots. We wear them to take our dog on walks in the wood and local reservoir. They’re perfect for walking through the mud and streams. They stay warm and dry any time of year. Rated 5 out of 5 by YOmamma from Make em jealous! 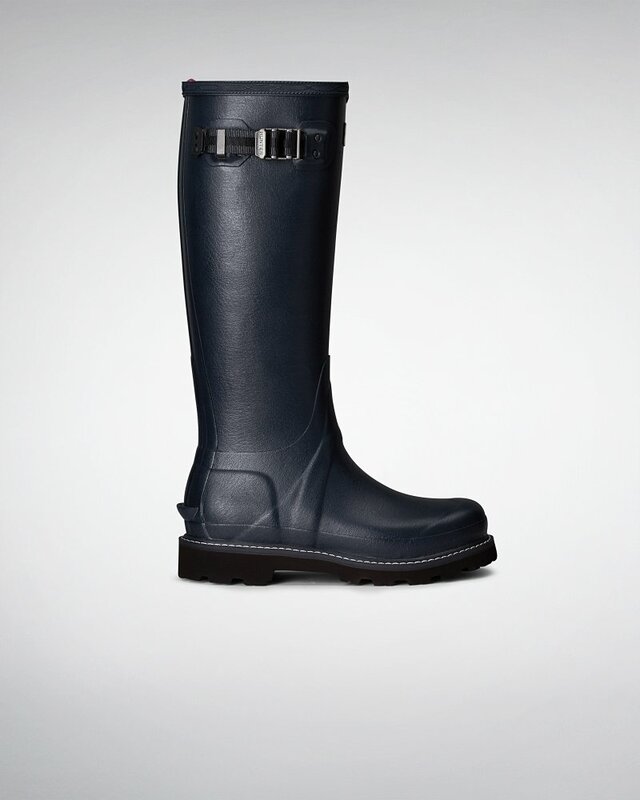 I live on Seattle, it rains 9 months out of the year...everyone I know has Hunter rain boots, but no one has balmoral. I'm apart from the crowd with these boots. Everyone enviously complements them! They're unique, and super comfortable! Rated 5 out of 5 by Leigh from LOVE THEM I absolutely love my boots. They fit perfect and are so comfortable. These are my favorite boots I’ve ever owned probably. I did buy red Hunter boot socks to wear with them, but will return the socks bc they make the boots too tight. They still look super cute and I’m definitely happy with them. Rated 5 out of 5 by Jenn from Awesome boots! These boots are truly waterproof and so comfortable. They are warmer than the originals and offer much more support. I’m hooked and can’t stop wearing them.